Adobe symposium 2019 'The digital Conference' was indeed the place to be for digital media marketers and advertising professionals. The conference, held on Tuesday, showcased how Adobe, along with its key strategic partners, offers innovative solutions to brands with a range of products and services. From digital interface displays to demonstrations on key Adobe campaigns and functionalities suitable for all industry skills sets, the conference included a gamut of product showcases. The keynote knowledge sessions from eminent industry professionals and marketing heads highlighted the innovative solutions that Adobe provides to brands to articulate data, both traditional and digital, based on the consumers web activities, behaviour and choices. Addressing the audience, Kulmeet Bawa, Managing Director, Adobe India & South Asia, said, "Adobe’s vision of changing the world through digital experiences has perhaps never been more relevant than it is today. At Adobe, we are uniquely positioned because of our advantage to provide both, the ‘art’ and the ‘science’ of digital experiences. We enable our customers to work across the content workflow--from inspiration, to planning, to creation and delivery, to management and measurement." "India has been at the world’s centre stage for quite some time now. Our rapid digitisation drive, the leapfrog to mobile-only strategy, and of course the vast population of millennials continue to make India an immensely attractive nation. It is amazing to see how our economy has matured, and is well on its way to reach the trillion-dollar prophecy by 2025. 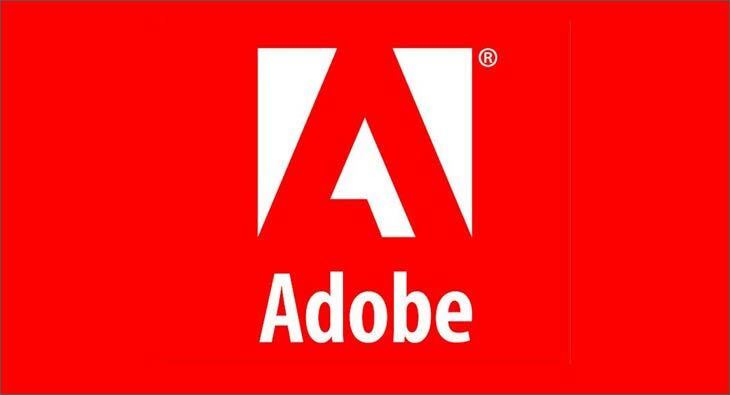 Adobe India continues to be one of the most exciting and fastest growing markets for us globally," Bawa added. The conference offered intrinsic insights on the importance of experiences in today's marketing scenario as experience is everything that elevates the customer's marketing journey. Looking at the scenario, today, brands are highly aware of the value of personalisation and 98 per cent of them invest in personalised campaigns that help advance customer relationships, the speakers highlighted. This year, Adobe has architectured Sensei Power Experiences for end users and Sensei Services for developers to bring in intelligent building blocks, algorithms and trade models to give power to Sensei Power Experiences. The symposium showcased the Sensei Power Experiences capabilities and a range of products built to benefit the end consumes. To provide more accurate data-driven insights on consumer behaviour and preferences, Adobe offers innovative solutions such as Adobe Marketing Cloud that captures relevant customer data across various touch points be it online or offline. The technology enables brands to engage consumers with personalised campaigns, provide data-driven accurate information to marketers and create hyper personalised content that is based on consumer’s individual interests and unmet needs, experts at the symposium said. The session on Using Adobe Analytics to power advertising strategy offered interesting insights on the evolution of the digital media for everyday engagements. Addressing the session, Vikram Chande, Head- Advertising Cloud India, said, "Today, digital media has evolved from being one channel single inventory to multi-channelled multi-inventory and provides highly personalised experiences for consumers so that we can engage them better in a more personalised way. The new way is to reach out to the target customers in a more holistic way, when it comes to messaging, by noticing user profiles, their behavioural patterns. Also, we give them a more secured environment, where they interact with our advertisements. These are highly secure and personalised experiences." "With Adobe Analytics Cloud and Adobe Audience Analytics powered by AI and Algorithms, we are able to help brands identify the media that they buy from all the different channels, thereby giving a holistic view of the audiences and the end customers. It provides them with a very rich user profile to whom the messages can be delivered. We also present a tailored message rather than old-style creative messaging. We provide one platform for all formats be it digital, OTT, audio etc," added Chande. Saurabh Khetrapal, Programmatic Specialist Adobe, talked about first-party data and activating it for advertising campaigns. The session concluded with industry professionals sharing their experiences of using Adobe technologies and case studies. Gaurav Gupta, Digital Marketing Manager Circles.life; Saurabh Malhotra, Senior Solution Sales Specialist, Microsoft, shared their experiences on how they utilised Adobe Analytics services. Finally, actor Boman Irani addressed the locknote in an interesting conversation with Sunder Madakshira, Head-Marketing, Adobe, talking about his journey in Bollywood and the lessons learnt. "My first film Munna Bhai MBBS was an experimental film and a disruptor in itself. I took it as a challenge and it went on to become a hit. I strongly believe that if your endeavour is right, the best comes to you and you get attracted to the best," said Irani.